The Vampire Facial | Just How Scary Is It? - Find Out The Truth! Halloween is coming! What a perfect time to take a look at our PRP Treatment more commonly known as a Vampire facial or Dracula Therapy. The PRP treatment works by taking the Plasma for your blood – Hence the name Vampire Facial. Your Platelet Rich Plasma contains hundreds of growth factors which work to repair any damage on your skin or body which is why it has become so popular with athletes and injury recovery. How do we do the Vampire Facial? Firstly we numb the face using numbing cream – this can take about 20 minutes. While we have the numbing cream on we take your blood which then gets placed in a centrifuge which spins it till the plasma is separated from the blood itself. We use the Rejuvapen™ Micro Needle which compared to the roller is a much more precise and quicker treatment. Microneedling on its own can rejuvenate your skin and improve conditions such as scarring, we go over the face with the microneedle first to open the channels on our face to allow that nutrient filled plasma deep into the skin. The Rejuvapen ensures that the plasma is absorbed by the skin getting you those excellent growth factors! Next we add the Platelet Rich Plasma to your face (which is now yellow) like a paste. We then go over with the Rejuvapen™ to push it into the skin. We can change the depth of the needle depending where it is needed on the face. For example in the delicate under eye area we use a shorter needle. Now the tightening and brightening rejuvenation effects can begin! 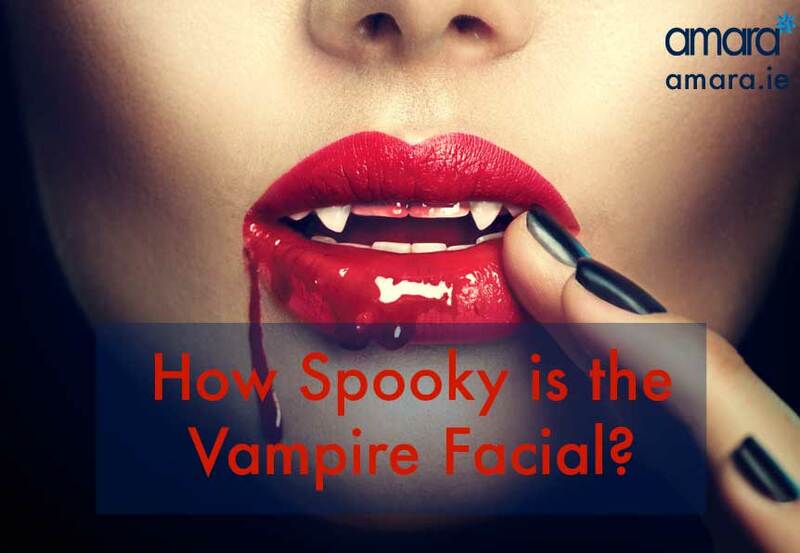 What does the Vampire Facial do? The PRP Treatment is perfect for those who are maybe not yet ready to explore options such as Filler or Botox. For the vampire Facial a minimum of 3 is recommended to see the desired results. What is the down time with the Vampire Facial? Fortunately there is very little downtime with the PRP Treatment. On the day of your treatment your face may be left red due to the needling. However this will go down dramatically the next day and can then be covered if desired with makeup. Unlike pictures or videos you may have seen – no your face will not be covered in blood leaving! 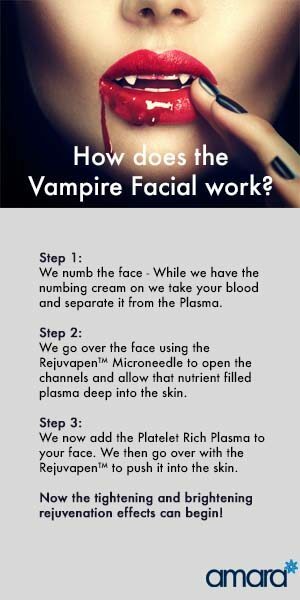 Are you interested in the PRP Vampire Facial? Why not book in now for your free consultation and see if it’s right for you!